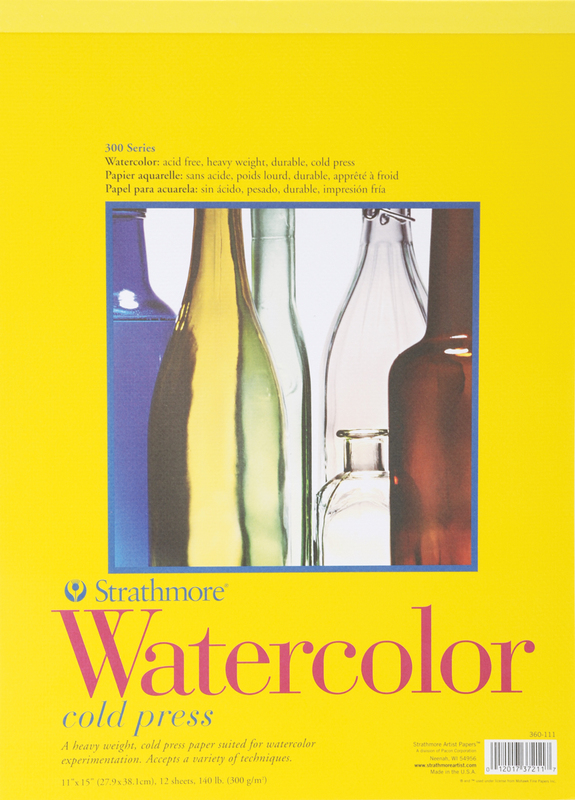 STRATHMORE-Watercolor Pad. A heavy-weight; cold press paper suited for watercolor experimentation. This package contains one 15x11 inch watercolor pad with twelve sheets of 140lb acid free; cold press watercolor paper. Made in USA.